2016 marks the 40th anniversary of Martin Scorsese’s masterpiece Taxi Driver. It premiered in 1976 and it was the film that put Scorsese on the map for real when it won the Palme d’Or in Cannes. In this e-book, we will take you through some of the many reasons why Taxi Driver is still every bit as haunting as it was when it first came out, and why Travis Bickle lingers in our minds and refuses to leave. You will get brand new analyses of specific points and scenes upon revisiting the film 40 years after it came out, significant quotes from the film, and behind-the-scenes material and trivia. 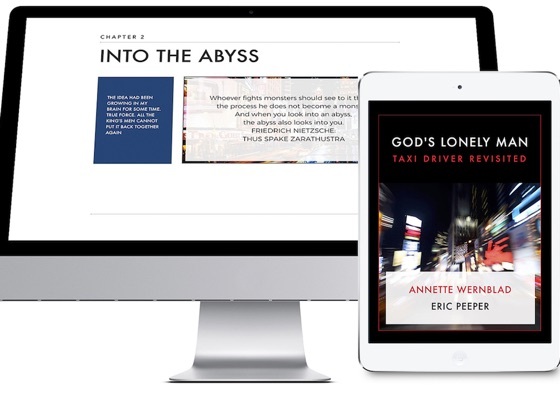 This engrossing ebook, regarding Martin Scorsese's watershed film Taxi Driver, collects probing insight and little known facts about a film that continues to fascinate and inspire us. Authors Annette Wernblad and Eric Peeper provide wonderful graphic layouts that handsomely displays a collection of writings during a course of a month celebrating the 40th anniversary of the film's release. The analysis of such dark material by the authors actually shines a light on many themes relevant to us personally. This is well worth the purchase and read if you are at all a little interested in a film that challenges you. 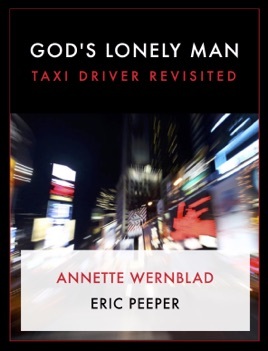 God's Lonely Man, by Wernblad and Peeper, challenges the reader as well with skill and fun.